How is Your Jury Determined? Understanding the Voir Dire Process - Crooks, Low & Connell, S.C.
Jury selection is one of the least understood, but very important aspects of the trial process. At the end of the trial, after all of the work of your lawyers is done, your fate rests in the hand of those jury members. Over the years, experts have come to specialize in the process of jury selection, realizing it can have an immense impact on the ultimate outcome. The jury selection process (known as Voir Dire) can vary from state to state and, to some extent, from courtroom to courtroom. Judges may have preferences about how the process is conducted, but there are some basic steps that must occur in voir dire. If they have a bias or prejudice that prevents them from being impartial jurors. Based on these questions, certain jurors may be dismissed. As they are dismissed, other potential jurors will replace them until the court is satisfied that it has the sufficient number of jurors for the attorneys to consider. After the court has completed its questioning, the attorneys will have the opportunity to ask questions of the potential jurors. These questions are typically related to the facts of the case. For example, if one party is a divorced parent, her attorneys may want more divorcees who can sympathize with her. After the attorneys have completed their questioning, they will be given an opportunity to strike three potential jurors that they do not want on the jury. These strikes, known as “peremptory challenges” cannot be used to categorically remove a certain group of people, such as women, or African-Americans, but they can be used to dismiss jurors that you think may disagree with your side. Some jurors may be excused for a cause that did not show up during the questioning by the judge. It is after that process that the peremptory challenges will be made. Once the peremptory challenges are completed, the court will be left with a complete jury and possible alternates. These are the individuals who will determine the outcome of your case. In recent years, experts in psychology and human behavior and other fields have begun to specialize in voir dire. They use demographics and statistics about jurors, as well as analysis of facial expressions, body language, and even voice to assist attorneys in selecting jurors. While some believe the process works, many are unconvinced that the help of experts makes any significant difference. 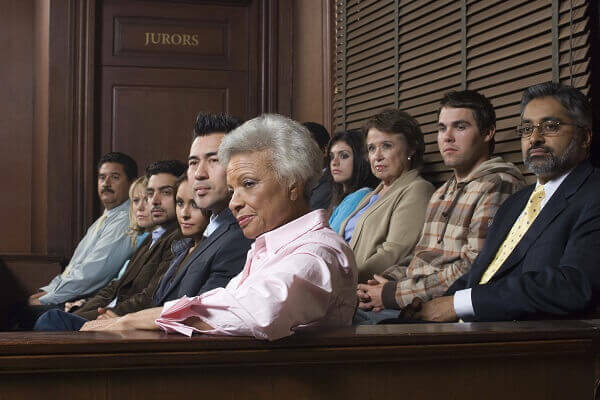 Whether you believe in the use of experts and statistics to select a jury or not, much of the art of the voir dire process comes from the questions the attorneys choose to ask and how they evaluate the responses. At Crooks, Low & Connell, P.C, our civil litigation attorneys know the questions that will shed light on juror biases and sympathies in order to assist in your case. For more information, or to schedule a consultation, contact our offices online or at (715) 842-2291.